Learn more about the Five9 contact center with customer reviews, ratings, pricing information and frequently asked questions. Five9 is a cloud contact center solution with VoIP technology for businesses. 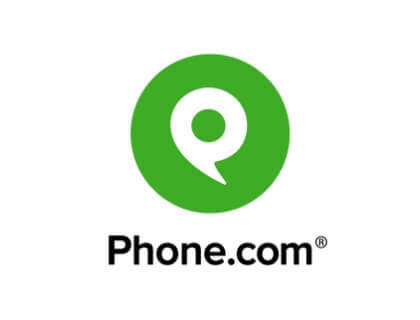 The Five9 platform can be used to make and receive phone calls via the internet. The software can also be used to direct calls and create extensions. Choice of local and toll free numbers with 40+ features. Five9 does not list any pricing on their website. To find out how much Five9 will cost for your business, contact the vendor and request a quote. Cons: Does not record outbound calls. Bottomline: A robust VoIP system for call centers and customer service departments. What is the price range for Five9 business phone plans? Five9 does not list prices on their website. To obtain a more accurate pricing breakdown, contact the Five9 sales team and request a quote. Can I use my Five9 login on any computer or device? Yes. 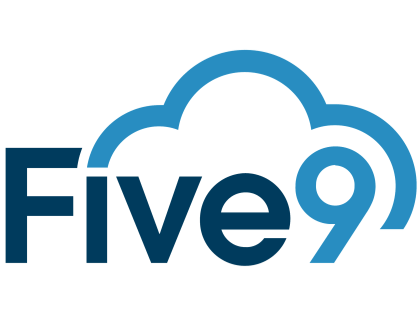 Five9 software is cloud-based, so you can use your five9.com login anywhere that you have an internet connection to gain access to your account. What should I do if I am experiencing Five9 audio issues? First, check to make sure that you have a strong internet connection. If the problem persists, you can call Five9 support at 1 (866) 553-1459, or you can send an email to cases@five9.com. Where can I learn more about Five9 careers? To learn more about working at Five9 and to see current openings, go to www.five9.com/about/careers. Are there any Five9 alternatives? How much does it cost to purchase stocks in Five9 Inc.? Stock prices are constantly changing, but you can find the latest Five9 stock price by doing a quick Google search for "FIVN." Is there a Five9 smartphone app? There is a Five9 app for Android and iPhone that you can download in your app store. You can use your Five Nine login information to open the app and view your Five9 account dashboard. What is the Five9 Agent Guide? The Five9 Agent Guide was created by Five9 to help you guide your new call center agents through the software so they can learn all of the ins and outs and discover every feature. Five9 is pretty much the dominant player in the contact center space. I'd stay away from Avaya, unless they're the only ones that have something specific that you absolutely need (which is unlikely), they're not as simple and robust as Five9. In addition to Ytel, I would also recommend Five9 as a predictive dialer that integrates with Salesforce. I know that with Five9 you can click-to-call from within Salesforce itself, schedule callbacks, leave notes, and all Salesforce contacts are automatically updated after each call. Five9 has better features than Ytel (including built in TCPA compliance safeguards), but the price tag is a little higher. Out with the old ways. In with the new and revolutionary dialing system from Five9. There is no technical or logical reason agents can not enjoy a better work experience. Think about it, the happier they are the more likely they are to provide a much better customer experience. It's a win- win! Five9 created a system that ensures cost, energy, and time savings. Five9, its really easy to use, and gives you tons of options. Easy streamlined CRM integration, very reliable. I also have no affiliation with them, I just like their service.